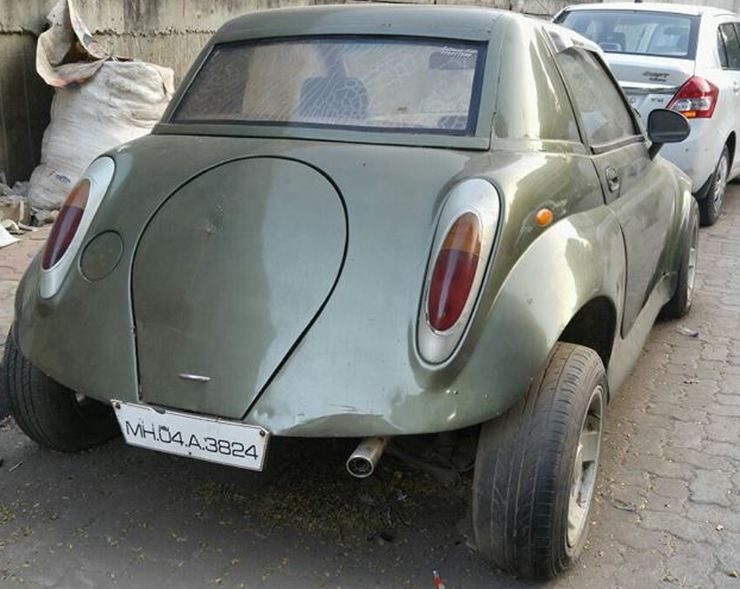 Officials of the Bashi RTO just seized this car, which was sitting at a mechanic’s garage awaiting repairs. Here’s why. 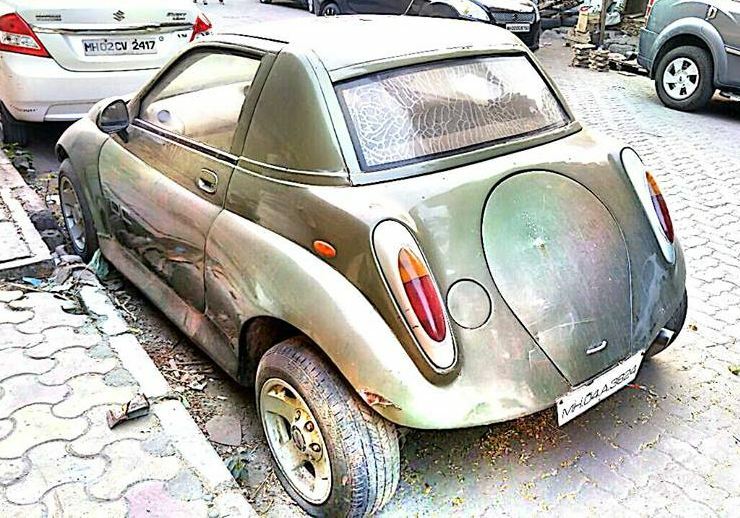 Now, Mr. Kothari is no more, and is survived by his son, Jaywant, who allegedly swapped this car for a Hyundai Sonata owned by one Ms. Heera Patel, a filmmaker in Mumbai. 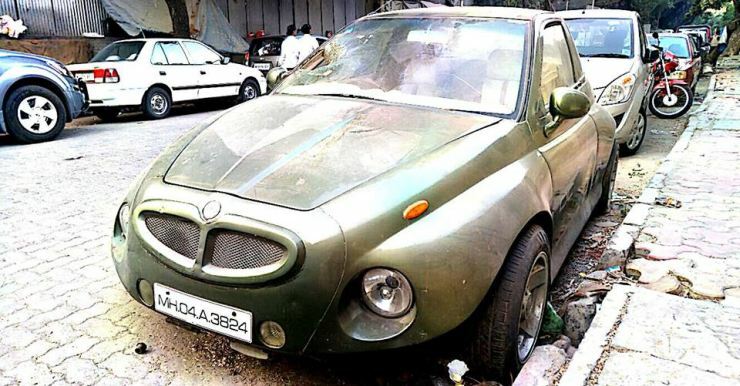 Besotted with the car’s looks, Heera exchanged her Sonata for the modified Maruti 1000, in possession of Jaywant Kothari. The car windscreen recently cracked due to a coconut falling from a tree. The car also had suspension trouble, which prompted Heera to bring it to Vishnu garage, for repairs. The A, B and C pillars have been cut, thereby compromising the vehicle’s structural strength. The four door vehicle is now a two door car. The 5 seat layout has been swapped for a 2 seat layout. The car is not in conformation with any approved model of the manufacturer. It has not been certified by any approved testing agency and thus is dangerous to other road users. 2. We have impounded the car since alterations carried out are illegal. The chassis number displayed is also doubtful. All this makes it illegal.